We are coming back with another guides the Minecraft Pocket Edition! 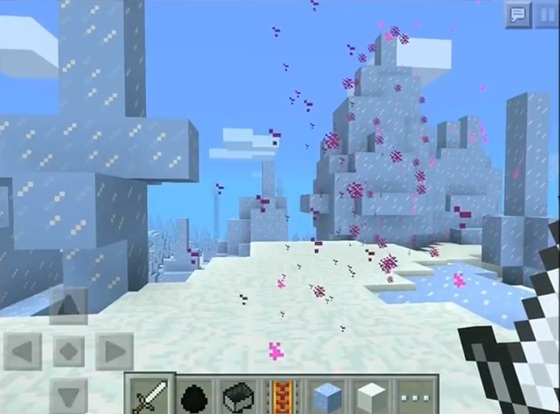 And as you can see - in MCPE snowing. You may ask - how did I do it? Well, I use a bug "purple snow" in Minecraft Pocket Edition. Today we tell you about mod titled Applied Wizardy. Do not be afraid to feel a little bit of Harry Potter! Now we will explain how this mod. 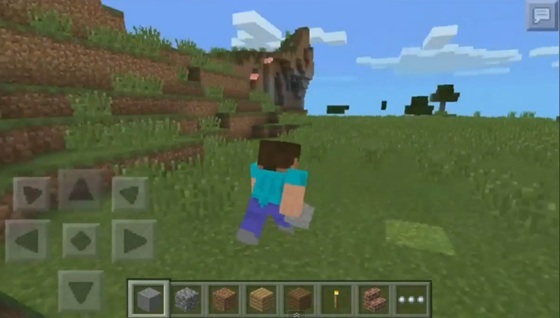 This addon adds a Minecraft Pocket Edition features such as fast running and slow walking. I think many such opportunities may come in handy! LivingBlock mod for MCPE 0.9.5.1— quicken blocks! Greetings to all! 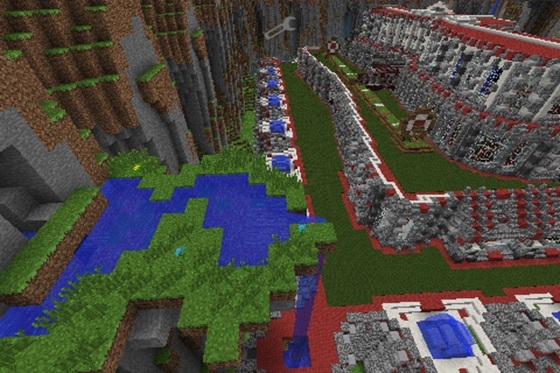 This mod will allow you to make a living blocks Minecraft Pocket Edition (until 34 blocks for version 1.0). You only need to hit the block so-called «LifeStick» life or stick to make it out alive! You can blow the living block TNT, hitting it with flint and steel! Use texture with this mod. This script is made for version 0.9.5 and above. 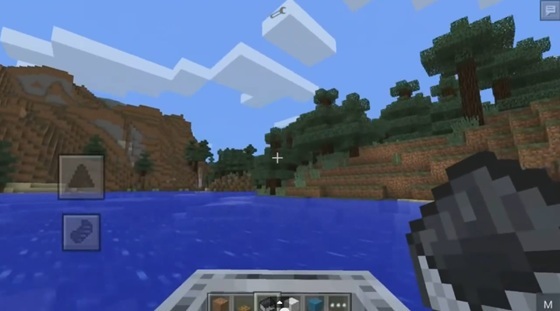 The boat's great to use in later versions of MCPE, because now there are rivers and such huge biomes, allowing you to explore the area much faster, besides, so much easier and more fun. How to make a gun, shooting cows in Minecraft! Hey, guys! 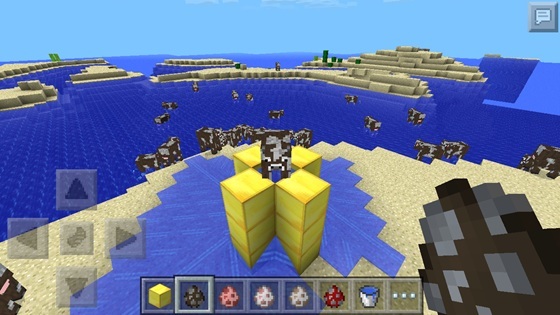 One man thought of how you can do in Minecraft PE gun that shoots the cows, and in any direction. Of course, it is in fact, does not help you in survival. But it's just a fun class. Below we will share with you a recipe for such a fun gun. This Red Palace! Wall for Minecraft Pocket Edition 0.9.5.1, lying on this map consists of stacks of 580 and 15 blocks of red wool, a total of about 15,000 blocks.